Keep Things Safe By Storing Them Behind a Room Divider! 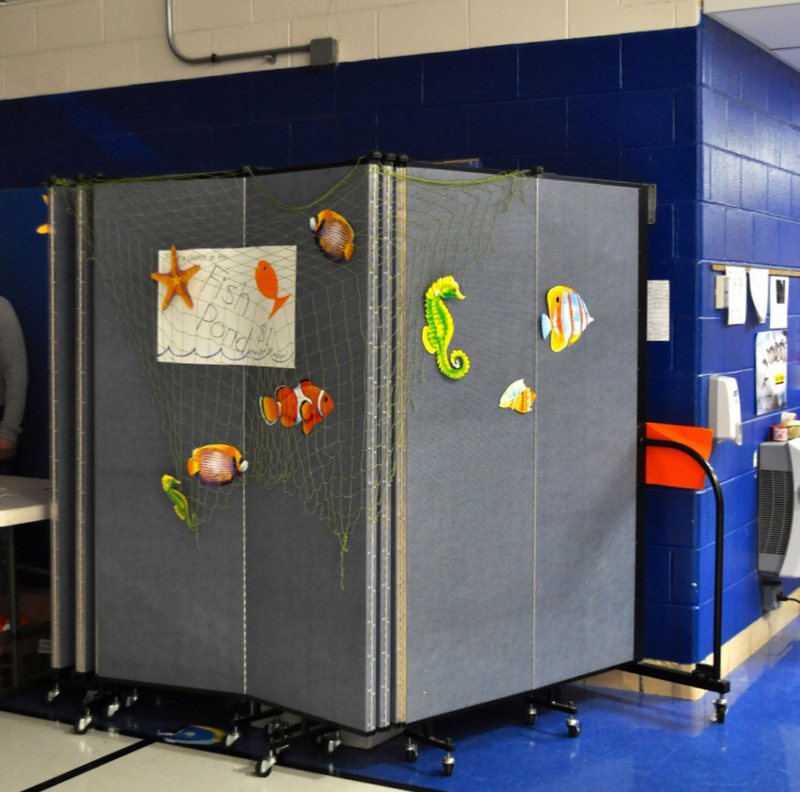 Here, an elementary school in Ballwin, Missouri, uses a Screenflex Wallmount room divider to protect 400 chairs and 50 tables when they are not in use. Schools love having Screenflex Room Dividers at their facilities because they can be used in so many ways. At this school, room dividers keep things safe and out of sight when the room is being used for other purposes. Our room dividers don’t have to be mounted to a wall, we also sell an entire line of portable rolling room dividers on wheels. The advantage to this is the partitions can be rolled from one area to another. The low and open end frames allow the units to be easily moved from one area to another, and even the tallest unit (8 feet), will fit through any standard doorway. If desired, units can be collapsed and stored compactly in just a 2′ X 3′ area. Screenflex room dividers can also be used to store theatrical props, PTO items, janitorial and cafeteria items, or construction equipment during renovations. How Will Common Core Standards Impact The Future Of Our Students?